Meet Mouse. Plain old Michael J Mouse, ignored by his parents, overlooked by his friends. Meet Mouse the Mighty. Boy Wonder and defender of the universe! 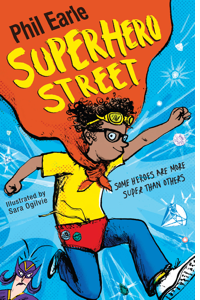 Mouse knows he could be the greatest superhero Storey Street has ever seen, but all his attempts to prove that have ended in failure.